Hard Country Cafe – NEW SPECIALS!!! Stop in at the Hard Country Cafe and try the Lenten and February Specials. Available for a limited time only so get yours today! 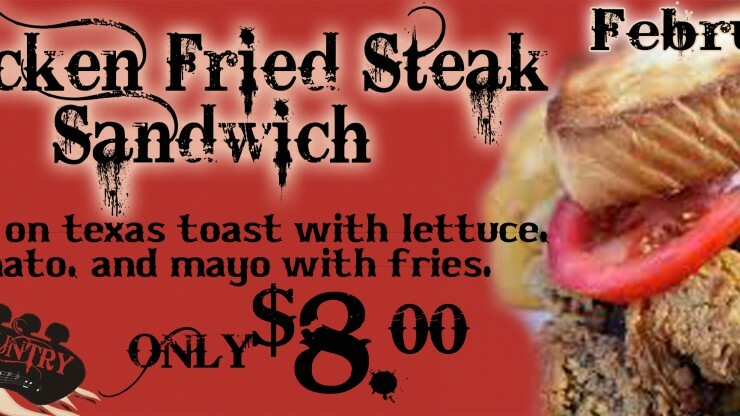 January Roast Beef Sandwich $7.00! Limited Time only. Stop by the Hard Country Cafe to enjoy a fresh hot roast beef sandwich for only $7.00! Don’t have time to dine in? Call 337-589-5647 ext 115 to place your to-go order!